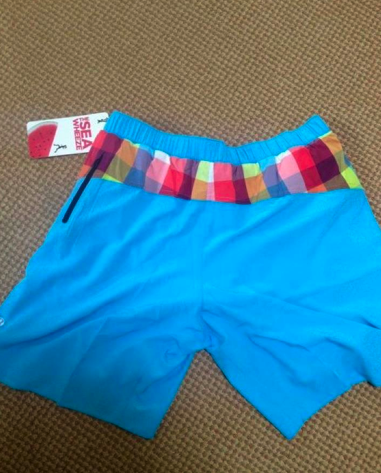 Thanks to Eric of Lulumen we have a picture of the men’s shorts for the SeaWheeze registration now starting to arrive. I’m not sure I love them for men but I’m kind of wishing this was the design for the women’s shorts. The longer length I need for running with a color and print that I love. If they could make this in a feminized version I’d totally wear these (and I’m aware I’m probably alone here). "Porcelaine Blue Dance Studio Crops"